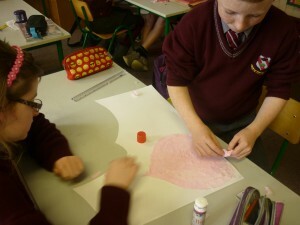 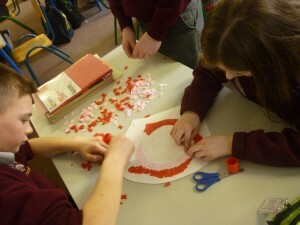 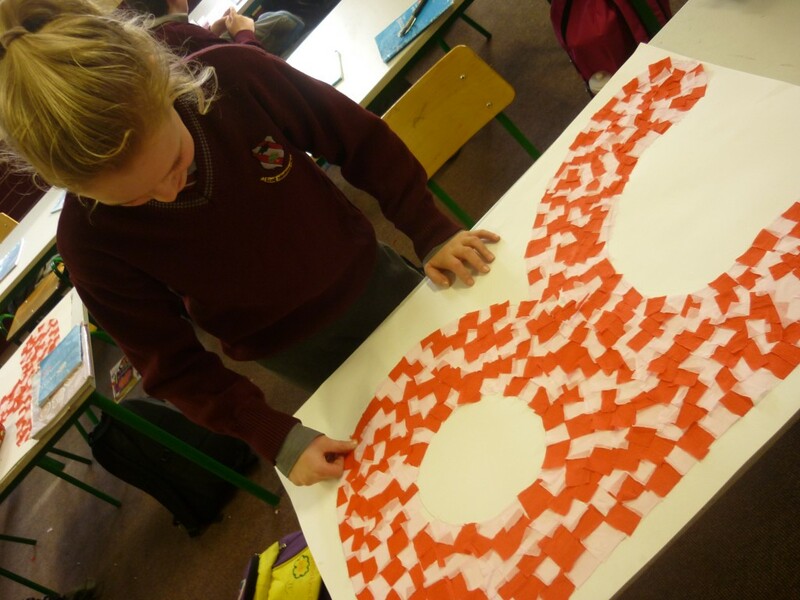 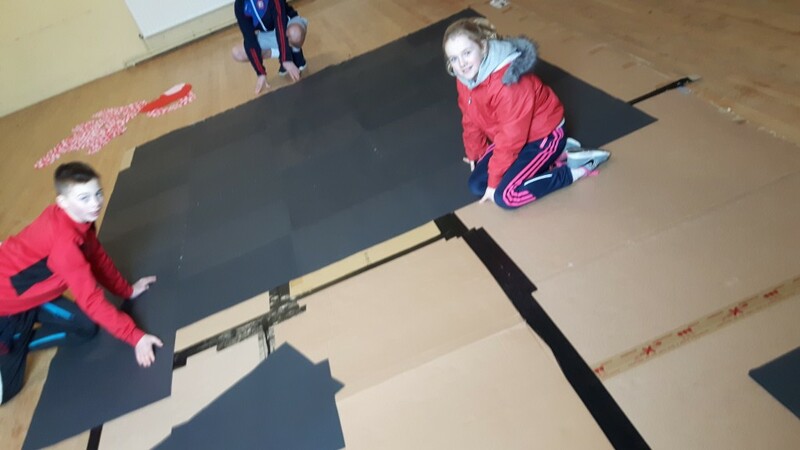 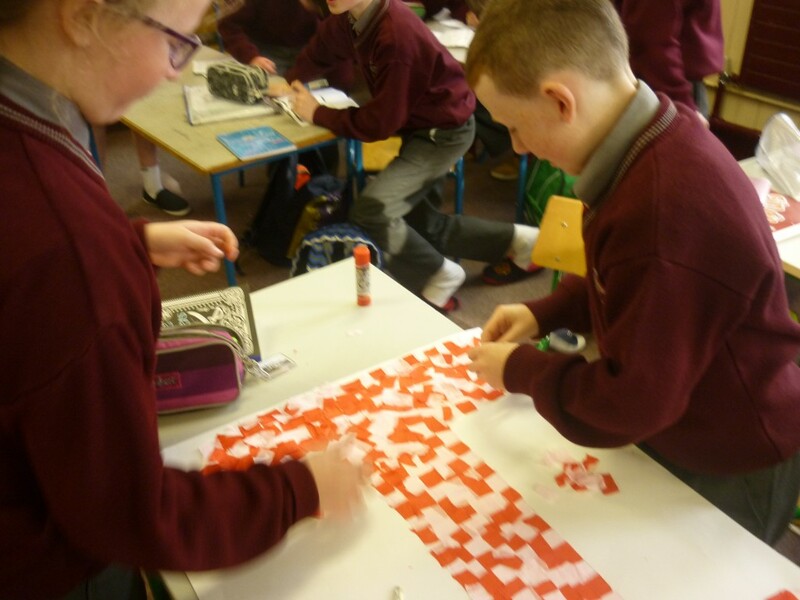 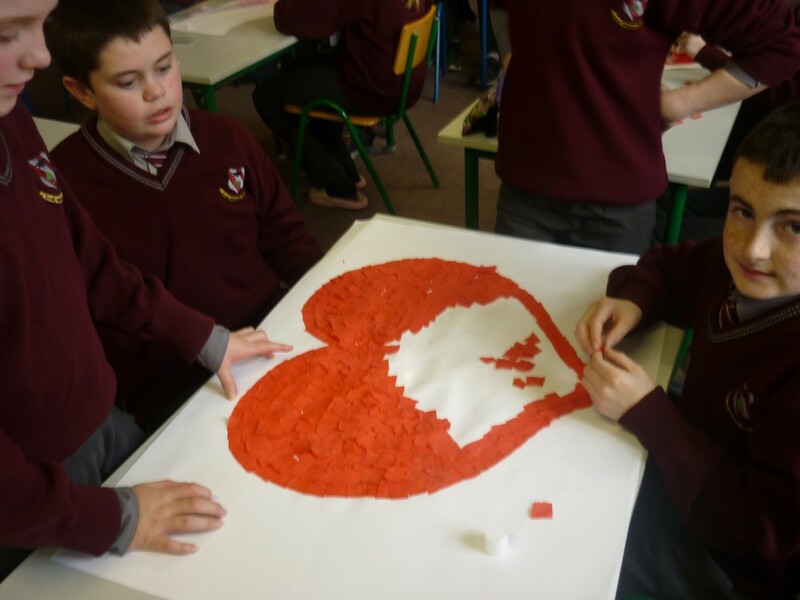 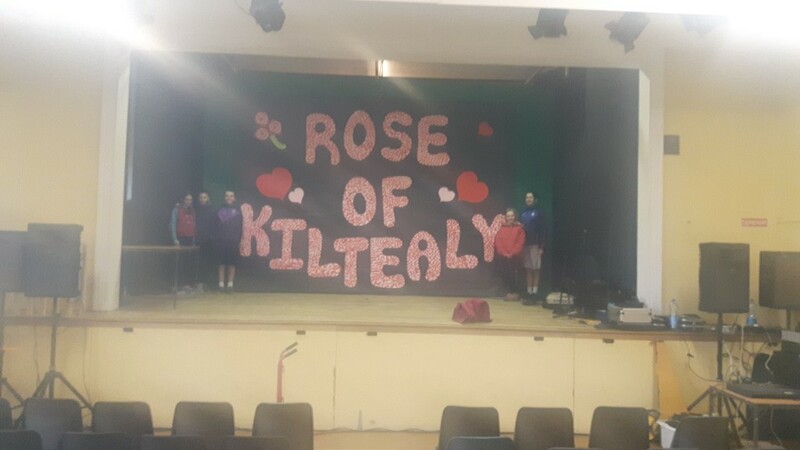 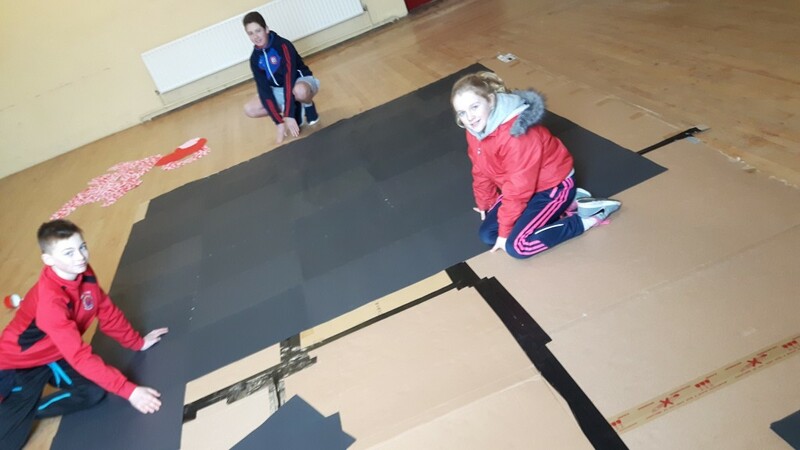 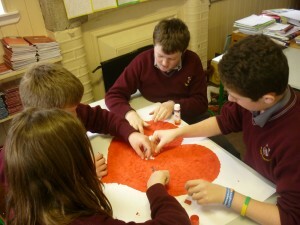 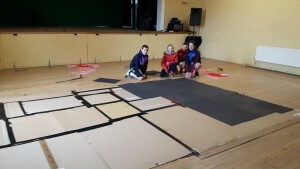 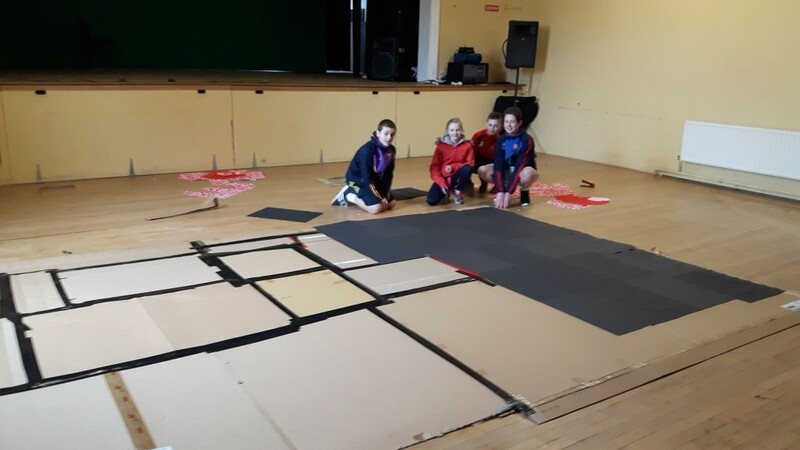 5th & 6th class were very busy making a huge backdrop for a recent fundraiser in The Community Hall. Funds are being raised to develop a community playground and so it was very fitting that the children of the community were able to contribute to the Rose of Kiltealy Fundraising event. 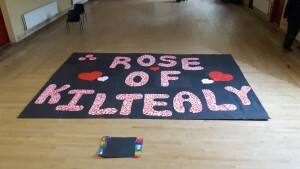 Many hours of work went into making this display, which included crepe papering each individual letter, heart and rose, cutting of letters, taping the card background, covering the card background with black paper, strategic placing and stapling of letters. 5th & 6th class really enjoyed the process. 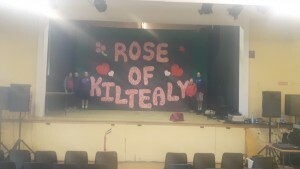 Well done to them all. Take a look at the process and the finished product below.